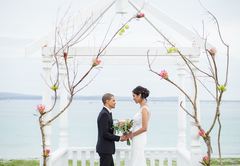 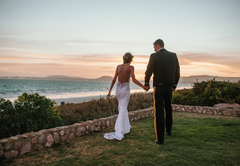 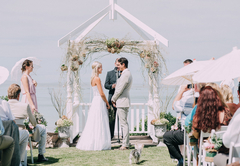 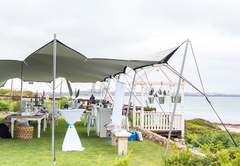 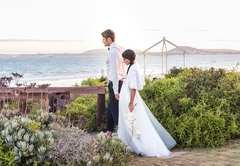 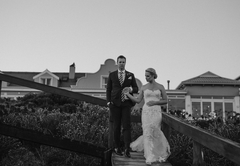 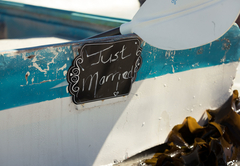 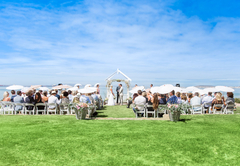 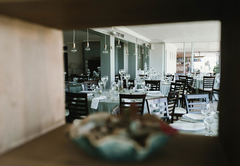 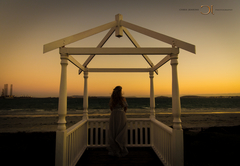 With a backdrop of Saldanha Bay, undisturbed beaches and quiet surroundings, Blue Bay Wedding Venue is the epitome of romance. 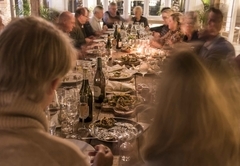 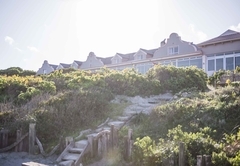 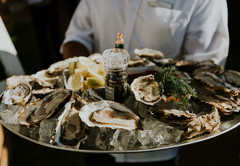 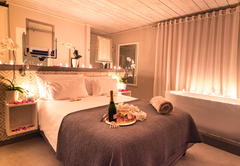 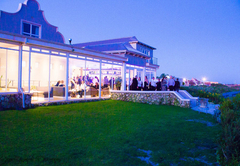 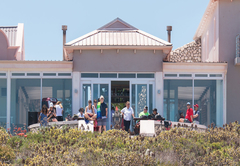 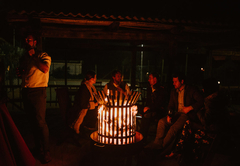 The gabled villa of the Wicht family has been tastefully restored and now offers unique venues, along and a restaurant with a 180 degree view over the bay of Saldanha. 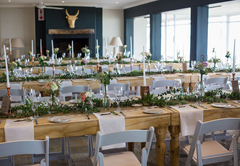 We are able to accommodate guests for brunch, lunch, cocktail or dinner functions in the Lodge Restaurant, Babeta’s Hall. 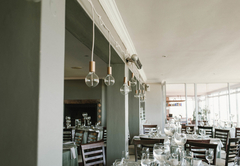 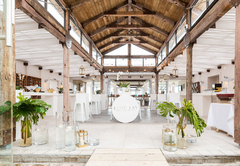 Babeta’s Hall is a light and airy venue with natural tones overlooking the ocean ideal for big groups seating a maximum of 100 guests with an adjacent dancing area for a day or an evening function. 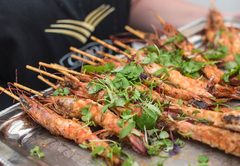 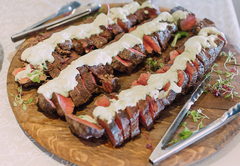 We offer catering for all types of functions and charge a set fee per person per meal, which is determined by the type of menu chosen by the client. 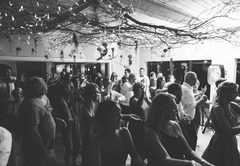 If you would like exclusivity of the venue for an evening dinner / dance function, we require that you book out all 18 rooms in the Lodge. 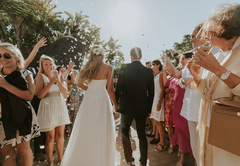 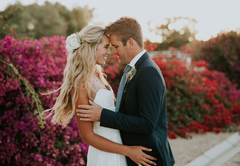 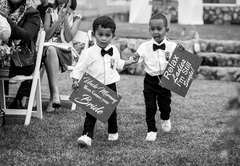 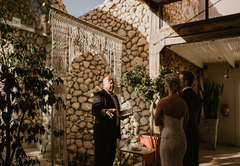 This is ideal if you would like to have a weekend wedding in order for you to spend ample time with family and friends attending the wedding. 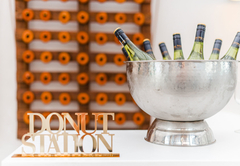 We have an exciting addition to our premises. 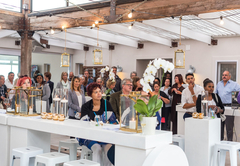 Henry’s Courtyard: A quant and cosy venue adjacent to the cocktail lounge ideal for smaller groups and intimate functions or for a wedding ceremony more protected from the elements. 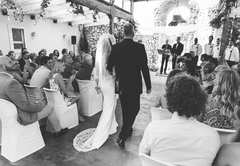 The courtyard can seat 90 people comfortably for a sit down event and 100 people for a wedding ceremony. 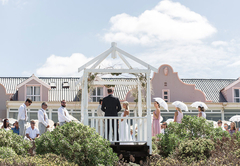 Should you wish to hold a Wedding Ceremony at Blue Bay Lodge, the lawn area in front of the Lodge (8 meters from the beach) or the Court Yard will be made available as an alternative in case of windy or rainy weather conditions.